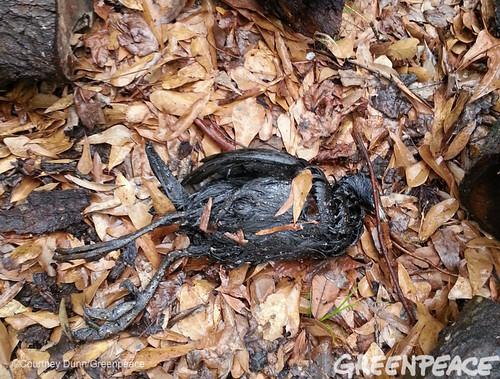 Is Exxon trying to hide the effects from their tar sands pipeline spill? Sure seems like it. 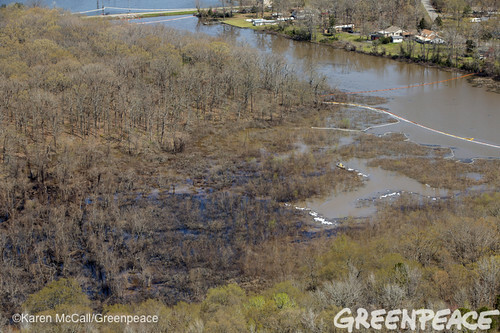 According to reports from the ground, Exxon is in full control of the response to the thousands of barrels of tar sands oil that began spilling from Exxon's ruptured pipeline in Arkansas last weekend. The skies above the spill has been deemed a no-fly zone, and all requests for aerial photos must be approved by Exxon’s own “aviation advisor” Tom Suhrhoff. In addition, the entire area has been cordoned off and news media have been prevented from inspecting the spill zone. Now, Exxon is trying to limit access to the animals impacted by the tar sands crude. A wildlife management company hired by Exxon has taken over all oiled wild animal care. The company, called Wildlife Response Services, is now refusing to release pictures and documentation of the animals in their care, unless they are authorized by Exxon’s public relations department. 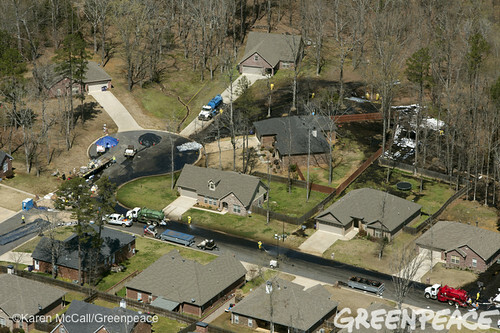 The spill, which leaked heavy, viscous tar sands oil, emanates from the Pegasus Pipeline, which was built in the 1940’s. The pipeline pumps diluted bitumen from the Alberta tar sands to refineries on the Gulf Coast, just like the proposed Keystone XL pipeline. However, the Pegasus is much smaller, carrying 90,000 barrels per day (BPD), while the Keystone would carry 800,000 BPD. Tar Sands oil is shipped through pipelines in the form of Diluted Bitumen (Dilbit), which must be heated and forced through the pipeline at high pressure. 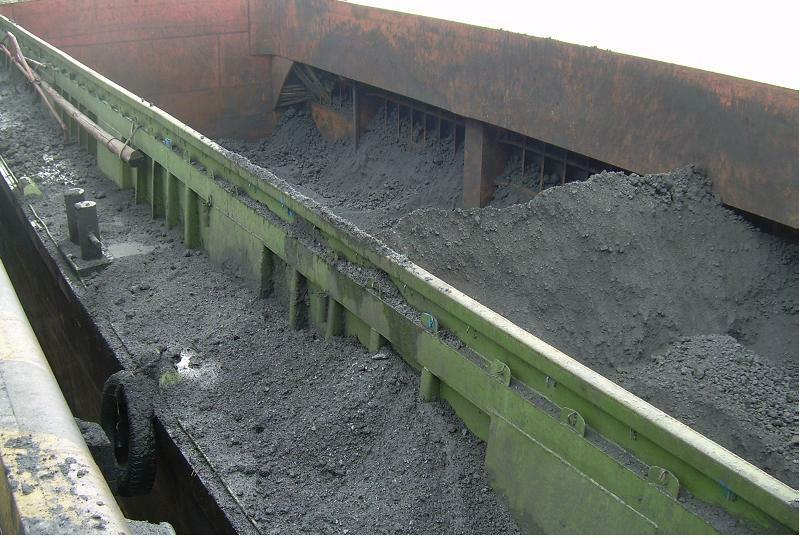 Due to the corrosive nature of the tar sands oil, which contains sand, plus the high temperature and high pressure needed to pump it through the pipes, tar sands oil pipelines are particularly dangerous. Exxon’s control of the oil spill response is reminiscent of the BP spill in the Gulf of Mexico, when the polluter, BP, effectively controlled the response and cleanup. 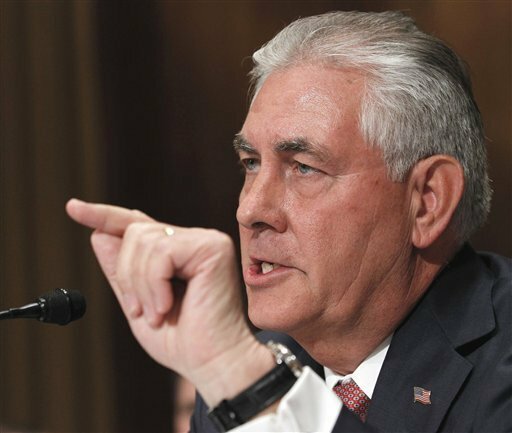 In a speech to the Council on Foreign Relations, Rex Tillerson, CEO of ExxonMobil lashed out at fracking critics, especially filmaker Josh Fox. Tillerson's attack featured numerous mistruths, which Joh Fox's newest film, called "The Sky is Pink" and featured above, points out. It is no big surprise the Rex Tillerson and Exxon have begun attacking anyone and anything that might influence the profitability of fracking. ExxonMobil placed a huge bet on hydraulic fracturing when it bought XTO Energy for $31 billion in 2009. Prices for natural gas have since plummeted from a high of $10.78 (per Thousand Cubic Feet) in 2008, to a low of $1.89 in April of 2012. 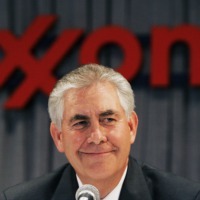 This is bad news for Exxon's CEO Rex Tillerson, the man behind Exxon's grand wager. If shale gas is curtailed because of enviromental concerns, or the price of gas doesn't rise sharply, Rex will have lost his big bet, and Exxon hates losers. Currently Rex is feeling the heat - he recently said "We are all losing our shirts today. You know, we're making no money. It's all in the red" in reference to his shale gas investment. 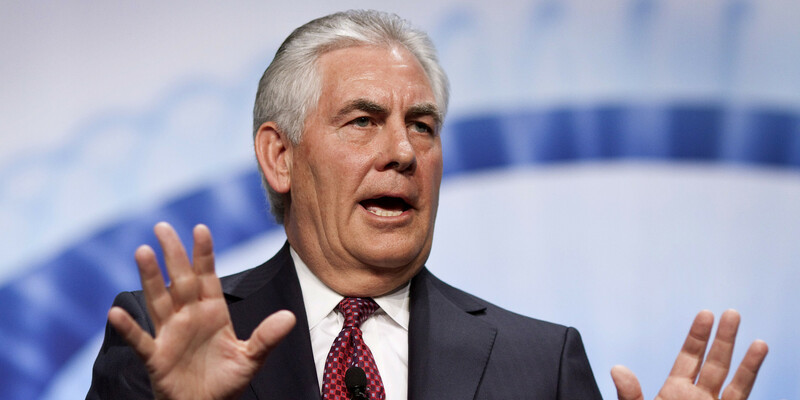 In order to get out of the red, Tillerson and Exxon will do everything in their considerable power to make fracking a cheap and as profitable as possible, including misleading the public (whom Tillerson calls "illiterate") about the dangers inherent to the fracking process. Some of the misleading statements about fracking from Rex Tillerson's speech to the Council on Foreign Relations are chronicled below. "The "Gasland" movie did more to set us back in this endeavor than anything else out there, and yet every aspect of that movie has been completely, scientifically debunked." Not true, the facts in Gasland still stand, as Fox's newest film shows. "Farmer Joe lit his faucet on fire, and that's because there was gas drilling going on, you know, in his back (porch ?). And we can go out there and we can prove with science that that is biogenic gas; it's been in the water table for millions of years; it finally made its way Farmer Jones' (sic) faucet, it had nothing to do with any oil and gas activities." Oil and gas activities were responsible for water contamination in Colorado, and oil and gas activities do cause biogenic gas migration into water wells. "There's nothing new in what we're doing, and we've been hydraulically refracturing (sic) wells in large numbers since the 1960s; first developed in 1940. So this is an old technology just being applied, integrated with some new technologies. So the risks are very manageable." 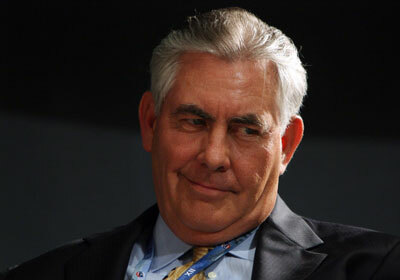 Because of advances in drilling technology, fracking is now done on a scale that would be unimaginable to anyone in 1960, including Rex Tillerson. Today's fracking is nothing like the fracking done in earlier decades, and this new technology poses risks that have not been fully explored, much less mitigated. 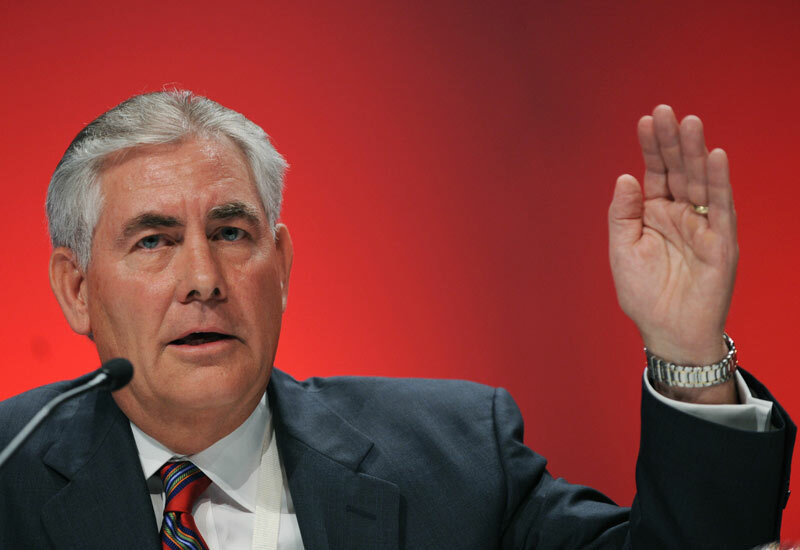 For more on the many mistruths in Rex Tillerson's speech, see these polluterwatch blogs by Cindy Baxter and Jesse Coleman.